Please contact me regarding the 2018 Peterbilt 389 - Stock# 461834 for sale at TruckerToTrucker.com. 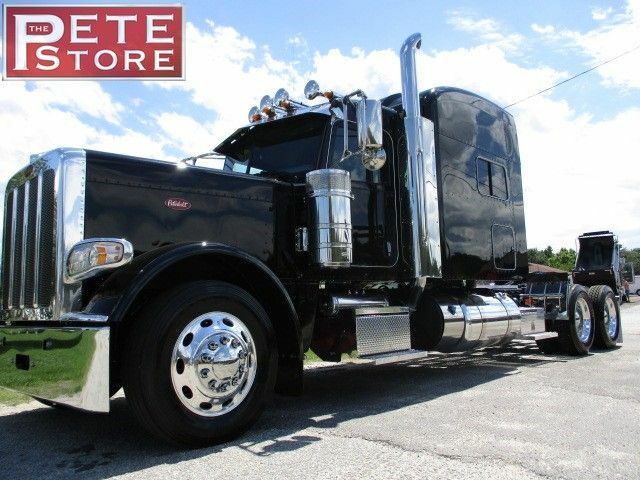 Take a look at this 2018 Peterbilt 389. It is Stock# 461834 at TruckerToTrucker.com. Peterbilt 389 Extended Hood With 78" Sleeper, 280" Wheelbase, Platinum Interior, Cummins X15 Engine with 500 HP/1,850 lbs.-ft, 18 Speed Transmission, Peterbilt Low Air Leaf Suspension, 3.36 Axle Ratio, Low-Pro 24.5" Tires, Polished Fuel Tanks, Two Extra Tool Boxes Back of Sleeper, Dual Leather High Back Air Ride Seats, Four Load Lights, Four Air Horns, Refrigerator, Chrome Texas Bumper, Stainless Steel Visor, Stainless Quarter Fenders, Stainless Steel Mud Flap Hangers, Fancy Owner Operator Specs - Call Us!